The touchscreen becomes unresponsive after deleting any image. It becomes operational again after exiting the viewer via the "play" button. Confirmed issue not present with ML not loaded. Hi Alex, I found the problem on both the magiclantern-Nightly.2018Jul03.700D115 as well as magiclantern-lua_fix.2018Mar31.700D115. As for the settings I reset the ML as well as camera settings and found the issue to persist. With the magiclantern-lua_fix.2018Mar31.700D115 in addition to the above issue I also found that upon powering on the camera and accessing either the screen brightness settings or background display setting (the primary screen with all the settings that shows up on power on) the graphic/image would not show up, subsequently accessing play mode the images would display in a little rectangle on the bottom left. I know this is beyond what this bug report is about. I would create another ticket if it is required. Confirmed. Seems to be caused by calling redraw() to erase the message printed by ML when pressing SET. 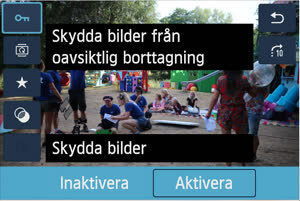 Only the playback dialog seems to be affected; other dialogs (menu, LiveView, info screen) seem to work fine after redrawing. Screen brightness and screen color dialogs are working fine with the lua_fix build; not sure how to reproduce these. I will try loading up lua fix again to check and report back. Can confirm, with lua fix there’s no screen color graphics or image display on screen brightness display until I’ve first entered an exited play mode. Reset ML as well as camera settings to test. Okay, not entering play mode was the key. Reproduced. It seems the play mode displaying pics scattered in the corners issue in lua fix seems to occur after accessing any second level option in the main camera settings (AEB, image size, etc.) until play mode is entered and exited once. "pics scattered in the corners" -> how does this look like? You can see the image only appears behind the drawn elements in the ui. This bug is NOT present in the nightly. The dialog_redraw function also appears to block the LCD sensor events. Oh well at least there is a workaround for the touchscreen issue (and possibly the lcd sensor events) by disabling the image review setting for the set plus dial combination. I might have come across another issue with lua fix tho... if we require set button to be pressed in order to load ml and load a card without ml (and not bootable), the read write led keeps on blinking erratically. I was too afraid to recreate the issue though and the issue only went away i think after i reset ml to defaults. If the card is not bootable, all that runs is vanilla Canon firmware. The bootloader checks the card contents at startup, which may result in the boot process being slower by a small amount (depending on card speed/size). Whatever happens after the main firmware starts is no longer affected by ML. I've seen similar LED blinking happening on 60D some years ago - formatting the card should fix it. If you find a way to reproduce, we can run Canon firmware in QEMU with the "buggy" physical card to see what exactly it does, though it's likely harmless. If you require SET at startup in order to load ML, and the card is bootable, ML attempts to do a fade out effect on the LED. That effect appears to work properly on 700D. I can confirm that the touchscreen being unresponsive when being in play mode is a frequent issue for me, too. My workaround, for the time being, is to press the trash button, go arrow left and then set (with other words: chose "cancel"), then the touchscreen works again. @Alex i think the blinking led happened with the card whether or not it had ml and was bootable. I believe it occurred with switching on the camera without a card (contrary to what i wrote earlier, sorry) inside with hold set to load ml option set to on. I will test it again and post back. I had panicked back then and just took out the battery after the issue continued to happen. Giving up; committed the workarounds. There was no feedback from other touch-screen models, but I've assumed they are also affected. Apparently EOS M was not affected; tested by @Cristian Campean. 700D: touch screen stops after running this. EOS M: touch screen still working. Please check 650D, 100D, 70D and EOSM2. @Cristian Campean has the EOSM2 and he should be able to run this test. Just out of curiosity I ran that code on the 700D and EOSM with the current unified branch and it didn't freeze up the touch screen on either camera. Maybe there's more to it than running "don't click me" ? Does the camera need to be in playback mode and you need to erase a file to trigger this bug? Hm, I've tested this myself a some weeks ago on 700D. You need to have one or more images on the card; after redrawing, the touch screen operation stopped and had to switch GUI modes (i.e. exit playback mode and enter again) in order to resume it. My 650D is running dfort's build 2018.Jul04 for firmware 1.0.5. Error is reproduceable with this build, too. I'm on the road but able to switch back to main 1.0.4 nightly if necessary. Alright, so far 650D and 700D are affected, but EOSM appears to be clean. @Licaon Kter or @danne, second opinion? Thanks for working on the issue Alex. Much appreciated. What build could I use for testing purposes? Above was eosm but I want to check my 100D as well. The EOS M doesn't have the play mode actions enabled (FEATURE_SET_MAINDIAL, comment "Set taken over by Q"), so you won't be able to reproduce it by pressing SET. Try the run_test code instead. 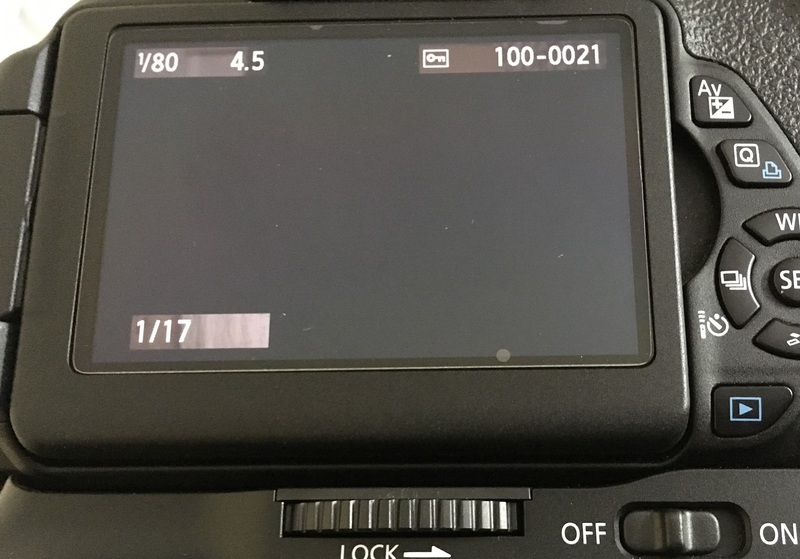 100D seems to have it enabled, but its SET button has the same issue as on EOS M. Does it (SET + MainDial) even work? Unable to test in QEMU yet. Got it; that means EOSM2 and 70D might be affected as well, and EOSM should be re-tested. Re-tested EOSM and it is affected. Make sure you have one or more images saved on the card. the code will put the camera into PLAY mode and print "now check touchscreen"
If you're quick enough or increase msleep to a larger value you'll be able to drag or zoom the image until the test code kicks in and then the touchscreen will freeze. Also re-tested the 700D and reproduced the bug. Thanks for you work guys but how exactly do I run the build with the fixes in place that I pointed out in this report? The "fix" was commit 7a42306 on the lua-fix branch. On the 700D follow the steps @Alex posted on both a Nightly and a lua-fix build. Note that it is fixed in the lua-fix branch but not on the Nightly. Note that I just ran the test code on the latest lua-fix and both 700D and EOSM touchscreens stopped working.